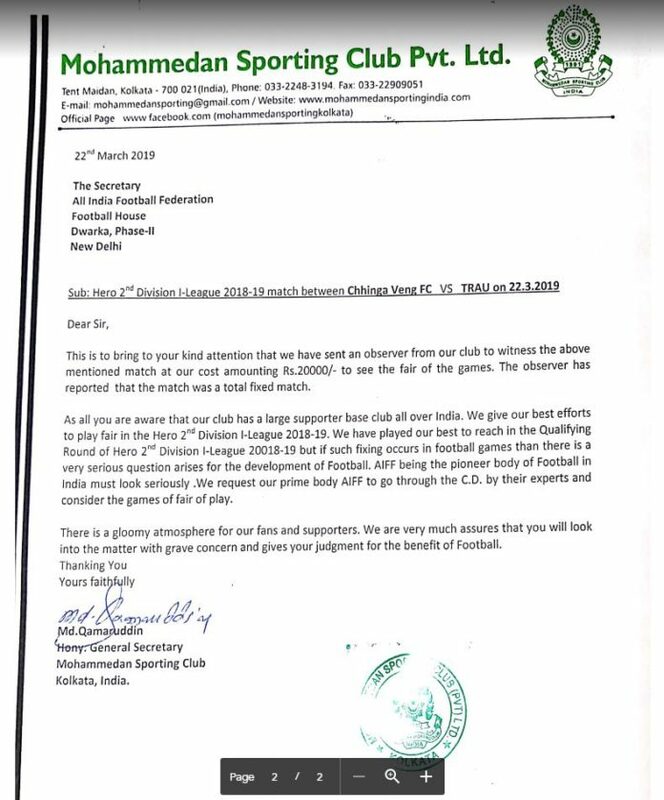 In a serious complain made by General Secretary of Mohammedan Sporting Club Kolkata with the AIFF about a independent observation made by club appointed observer is a definite blow to the esteem of the game. Club has asked a fair trial and to uphold the dignity of the game submitted a CD too. Devils of match fixing is killing the sprite of any sports so these needs to be investigate and root should be uprooted.